Kylie Jenner (born 10.08.1997) is a reality TV star best known for appearing on 'Keeping Up with the Kardashians'. Childhood: Kylie Jenner was born in Calabasas, California. Her parents are Bruce Jenner, a track and field athlete, and Kris Jenner. She has a sister, Kendall Jenner and eight half-siblings: Kourtney Kardashian, Kim Kardashian, Khloe Kardashian and Rob Kardashian on her mother's side, and Burt, Brandon, Brody and Casey Jenner on her father's side. She attended Sierra Canyon School and was a cheerleader but was homeschooled in 2012. Career: Kylie Jenner began modelling with the Sears line 'Crush Your Style'. She has appeared in OK! magazine and Teen Vogue, and has worked with photographer Nick Saglimbeni. She also modelled for her cousin Natasha's clothing line. In 2011, she modelled the Avril Lavigne collection Abbey Dawn Runway for New York Fashion Week, and later for the official Hello Kitty Launch for Forever 21 with her sister. Seventeen Magazine named her and Kendall Style Stars of 2011. Together they have also hosted red carpet events for 'Glee 3D Concert Movie' and 'Breaking Dawn Part 1'. In 2013, they launched their clothing line 'Kendall & Kylie' through PacSun. It's with this in mind that this year's annual family Christmas card has been met with such derision. 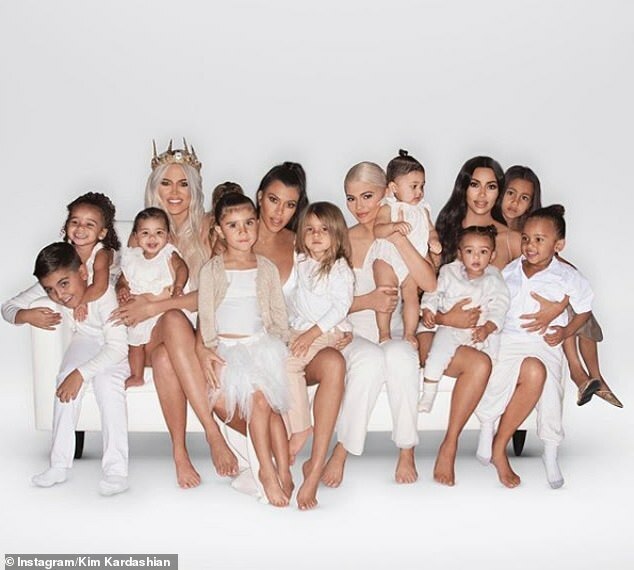 The youngest of the three Kardashians, Khloe, took to social media to upload this year's offering, with elder sisters Kourtney and Kim following suit soon after. 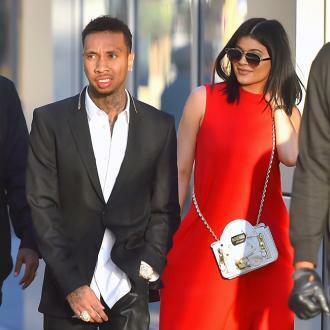 The Keeping Up With The Kardashians star, who shares eight-month-old daughter Stormi with rapper, Travis Scott is said to have bought the property in the area known as the Beverly Hills Post Office - a section of Los Angeles, California, that lies within the 90210 ZIP code. The 21 year old reality star and entrepreneur says growing up in the spotlight with a famous family had its repercussions. Kylie Jenner says she’s been “bullied” since the age of nine because of her relationship to the famous Kardashian family. Jenner, 21, is one of the world’s richest self-made individuals in 2018 off the back of her beauty empire, but she grew up in front of the cameras as a teenager and was very much in the public eye. According to her, that came with repercussions, as she used to face teasing and bullying because of her famous family. Continue reading: Kylie Jenner Says She's Been Bullied "Since Age 9"
They say parents don't have favourites but when Kris Jenner's 21-year-old daughter looked set to become one of the youngest 'self-made' billionnaires, it seemed inevitable she was going to go to the top of the child list. Now, the mother-of-six has revealed Kylie as the "smart one". Already worth $900 million, Forbes predicts that 20 year old Jenner will be the youngest ever self-made billionaire in American history. Kylie Jenner is on course to become America’s youngest-ever ‘self-made billionaire’, it has been claimed by Forbes. The business bible states that, with a net worth of $900 million at the age of just 20, Jenner is set to become the country’s youngest-ever billionaire with money made by themselves. Forbes uses the term ‘self-made’ to differentiate between those who have inherited their wealth. Jenner, who welcomed her first baby, a daughter named Stormi, earlier this year, first started selling her range of cosmetics two years ago when she was just a cast member of ‘Keeping Up With the Kardashians’. In 2018, and a month to go until she turns 21, the fashion guru has sold approximately $630 million worth of makeup since, including an estimated $330 million in 2017. Kylie Jenner, the youngest of the Kardashian/Jenner clan, has amassed a lip kit beauty empire worth a staggering $420million after launching Kylie Cosmetics in 2015. Now, the 20-year-old has revealed a dramatic departure from her former look - by removing ALL of her own lip fillers. Kylie, who welcomed baby Stormi with rapper boyfriend, Travis Scott, earlier this year, has been a big fan of the lip filler since the age of just 16. Kylie Jenner Surprises Date-Less Prom Teen. Fairy Godmother Has Nothing On This.